Steve has completed the challenge. 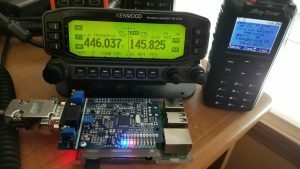 His setup includes a Kenwood TK-8180 Radio, A MMDVM Repeater Board from Scott Zimmerman GPIO Version on a Raspberry PI III running Pi-Star. 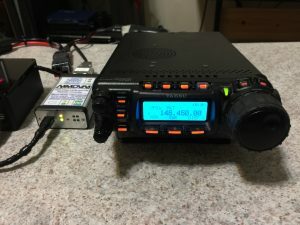 Steve has also added a DC to DC Converter so that the Raspberry PI can be powered directly from the TK-8180, making this setup portable. 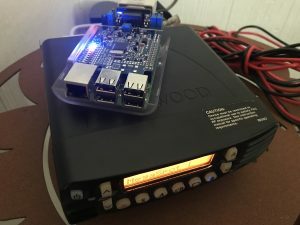 Chris has assembled his MegaSpot using a STM32-DVM combo from Scott Zimmerman and a Kenwood TM-D710 for the transceiver. Phil has completed the challenge. 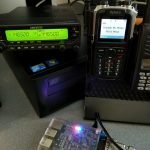 His setup includes a Yaesu FT-857D Radio, A Teensy MMDVM connected to a Raspberry PI III B+ running a custom MMDVMHost.